Last Sunday of every month. 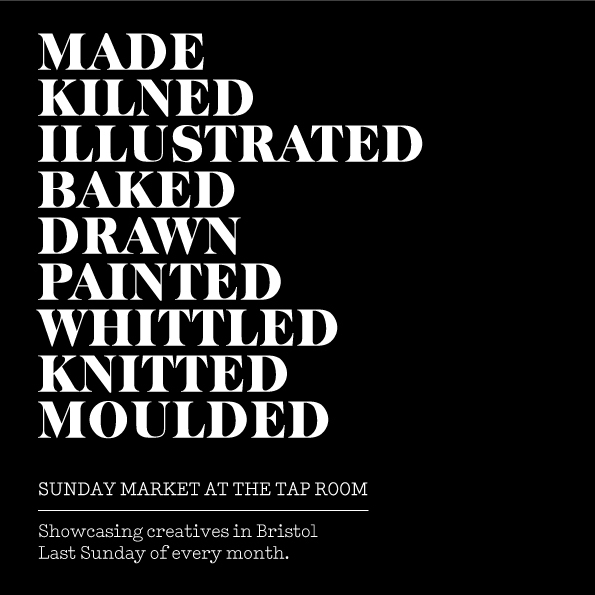 On the last Sunday of every month at the tap room we play host to a diverse range of local creatives selling their wares. We’re proud to provide a platform for local artists and makers to showcase their work. We’re also teaming up with the amazing Popti and Beast who will be serving up Sunday Roast Dinners to take out and eat here at the tap room. Popti and Beast is an organic butchers and bakers, they are just around the corner from us in St Werburghs. We can vouch that their Roasts are absolutely amazing – they’ll have vegetarian and meat options available.